10 Best Ever: 10 Best Arthurian Legends Ever! ... and lots of bloody battles, cruel love triangles, terrible betrayals and cruel acts of revenge! Eeek! 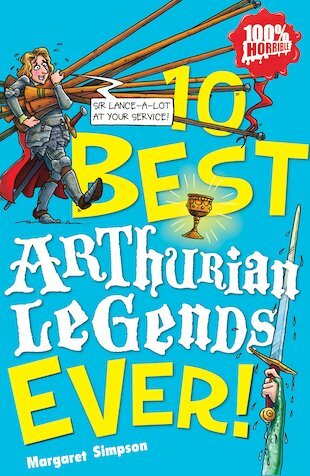 this book told me about lots of interesting legends like sir Gawain and the green knight and Lancelot as well as Excalibur, Arthurs sword. I knew absolutely nothing about the Arthurian legends until I read this book. Lovely, nothing like a bit of gore to brighten up one’s day.